Tampa, Florida is one of the major cities that Portable Dishwashing 123 serves with mobile dishwashing for rent in the United States. 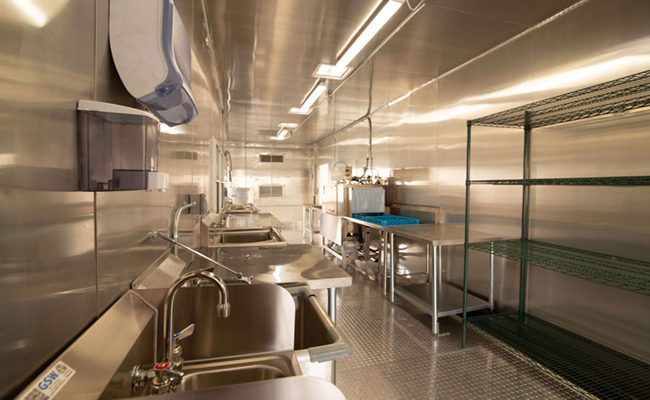 Our mobile dishwashing rental in Tampa, Florida, temporary kitchen for rent in Tampa, Florida, mobile refrigerated containers in Tampa, Florida and portable dishwashing facilityin Tampa, Florida are all equipped with 5-star appliances that is sure to give the best kitchen productivity. Our all-new 38’ mobile dishwashing trailer has a conveyor type machine which is best for medium- to high-volume washing. It also has ist new 5 ton HVAC for cooling or heating. Your staff should be able most comfortable working inside. We have CMA, the most trusted dishwashing brand, who manufactured this conveyor type dishwashing machine. 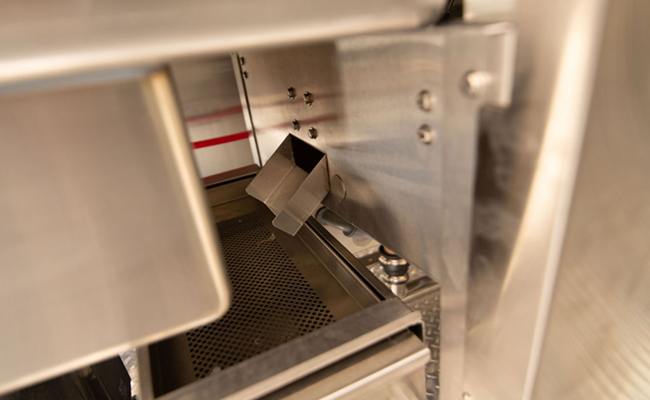 It onsly uses 0.46 gallons of water per rack of dishes. One of the best rating in the industry. Has a 3-stage process: wash, pump rinse and final rinse. Has a 19” opening that allows washing of larger items and utensils. Our mobile support units gives you other trailer that you might need. 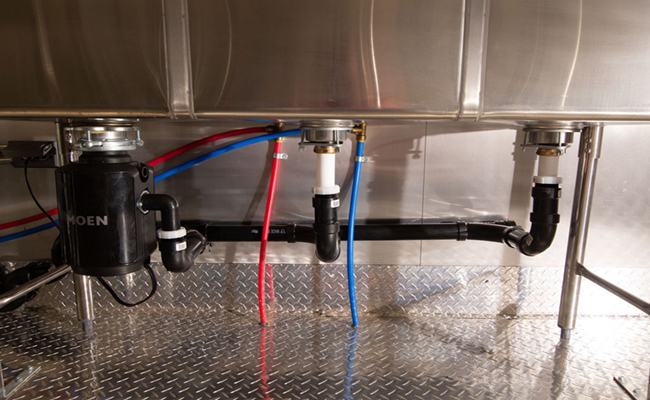 Our ADA approved ramps are what each trailer needs to ease on the transportation to and from each mobile dishwashing trailer. 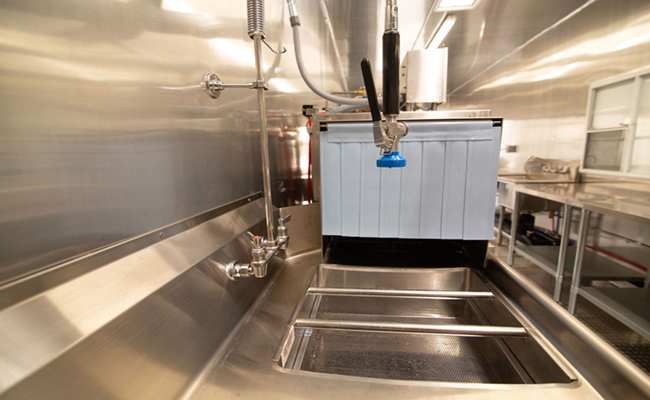 The ramps come in sections of 4’ x 7’ that can be attached to each mobile dishwashing trailer for rent and mobile kitchen rental to aid in easier transport of food inside and outside of the facility. Our mobile kitchen rental will give you everything you have in your existing kitchen. 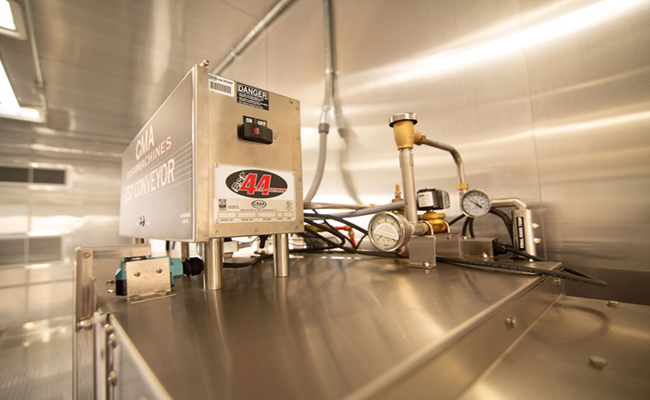 Each kitchen trailer has deep fryers, range oven combination, griddle oven combination, 3 door refrigerator and ansul fire suppression system for safety. Its fully self contained. Based on the number of meals you serve per day and the way you prepare the food, Portable Dishwashing 123 will provide you the best size and support units that you need.